Corkscrew Appraisals - Barry Taylor's Corkscrew Story. 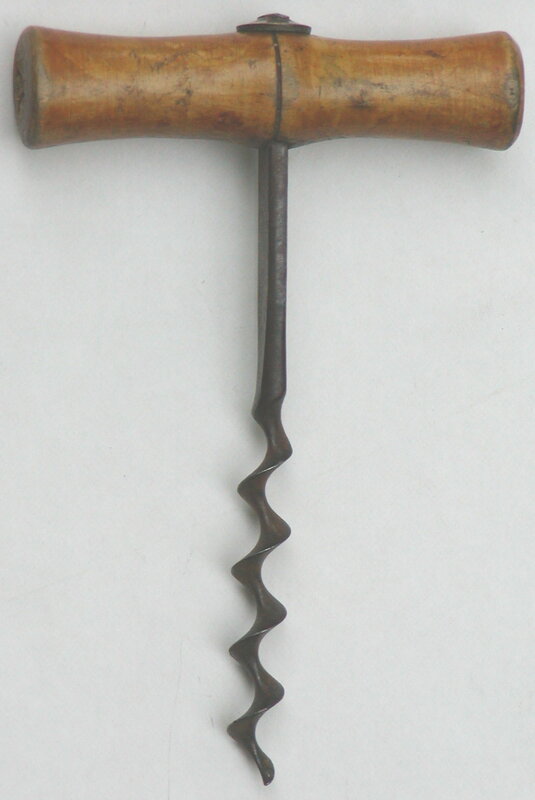 Home » Blog » Barry Taylor's Corkscrew Story. In 1990, my wife and I had moved to our current home in Michigan and were looking for interesting kitchen gadgets to display on the kitchen wall. In May of that year, I was visiting my father in England and on a Tuesday morning happed to be at the shopping center in Milton Keynes the day of the weekly antique market. I had some time to spare so why not take a look around the market. Looking through the market, I stumbled on a few simple wooden tee handled corkscrews and thought these might work with some other gadgets for a display in the kitchen. Back in the States, I stopped at some of the local antique shops looking for corkscrews and was lucky enough to add a couple more simple pieces to the collection. A few weeks later, I visited a larger antique show in Dearborn, Michigan, and found Corkscrews for Collectors, Watney and Babbidge’s excellent book. I spent several enjoyable evenings reading the book and marveling over the array of different corkscrews pictured. At this point I was very interested, but not totally “hooked” on the hobby. A few weeks later however while visiting another antique market in Ann Arbor, Michigan, I had a chance meeting with another local collector, who I learned had been collecting for over thirty years. After a brief conversation I was invited to his home to view his collection. (At this point it is important to mention that my total collection was approximately twenty pieces and my knowledge of the hobby was limited to say the least). The collection was amazing and filled a large office room from floor to ceiling with over 3,000 pieces. After an interesting and informative evening, I was hooked. At this time, it was also suggested that I should consider joining the Canadian Corkscrew Collectors Club which would be a good way to learn about the hobby. After a couple of phone calls with the organizers of the 1990 in meeting in Hartford, Connecticut, my wife and I headed to our first meeting. What a mind blowing experience - thousands of corkscrews on display at the Buy and Sell, a terrific auction and a fabulous group of friendly and fun loving collectors. What’s not to like about this hobby! I have now been collecting for over twenty years. I love visiting flea markets, antique shows, auctions, antique shops and malls. I love the hunt and the ability to sometimes find that real treasure. My wife and I have been fortunate over the years to travel extensively in pursuit of this twisted hobby and to have met a great group of people. I stumbled on this hobby by accident, but it has become a passion which I hope continues well into the future.